Nvidia isn’t letting AMD steal the spotlight with its new Ryzen CPU and Vega graphics card. 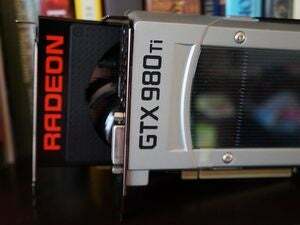 When AMD announced a “Capsaicin” livestream to talk Radeon Vega details at GDC on February 28, Nvidia revealed a GeForce event for the very same day. Today, information about AMD’s Ryzen CPU pricing and performance launched—and Nvidia started a countdown to said GeForce event on the GeForce.com homepage. Subtle. Examining the homepage all but confirms that yep, Nvidia will probably reveal the long-anticipated GeForce GTX 1080 Ti on February 28. 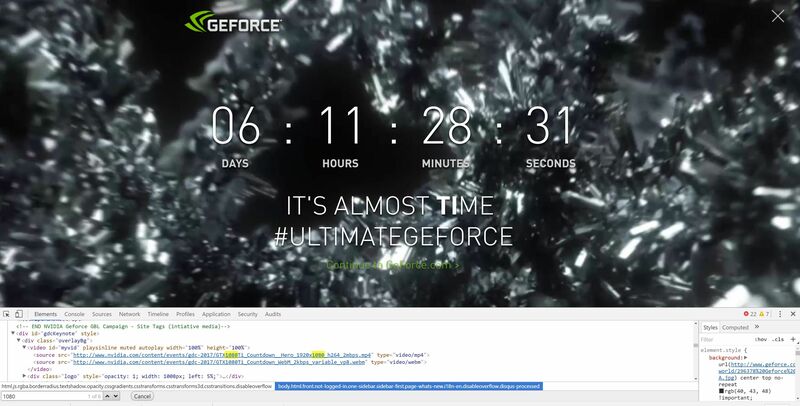 “It’s almost Time” the countdown declares—emphasis Nvidia’s—with an #UltimateGeForce hashtag. And as if that wasn’t blatant enough, studying the page’s source code shows that the video playing in the background is titled “GTX1080Ti_Countdown_Hero,” as first discovered by Videocardz. The GeForce website with the source code pulled up and the slogan on display. That’s either a big oops, or clever marketing—probably the latter, given that Time teaser. In either case, it looks like Nvidia’s bringing the big guns to GDC. 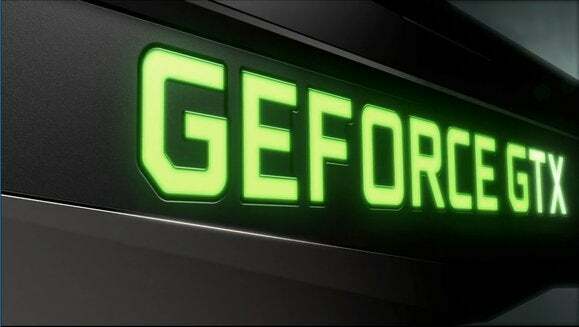 The #UltimateGeForce hashtag is intriguing, though. While many people expect the GeForce GTX 1080 Ti to be a slightly cut-down version of the Pascal GPU-based Titan X, various rumors have whispered that we may see a repeat of the GTX 780 Ti situation, where Nvidia’s high-end Ti outpunched even the then-current Titan. That’s borderline hard to fathom given that the Titan X is a monster of a graphics card that chews through demanding games even at 4K resolution. Sounds like we’ll probably know for sure on February 28. In the meantime, check out PCWorld’s Full Nerd podcast gang discussing the potential GeForce GTX 1080 Ti vs. Radeon Vega showdown, AMD’s Ryzen CPUs, and what to expect from GDC in the video below.